When I went through my mobile games craze in 2013, there were three games that I had daily competitions with other people: Temple Run, Angry birds and Fruit Ninja. While the first two have gotten sequels, the latter developed a free-to-play version of its Fruit Ninja Classic game instead. However, the fruit slicing game is taking another swing in the mobile market with its multiplayer sequel, Fruit Ninja Fight. Fruit Ninja Fight aims to combine ‘arcade’ and ‘local’ multiplayer mode from its predecessor into an online experience. For those who don’t know, ‘arcade’ had players slicing fruits for points within a certain time limit without the ‘three strikes’ system in place. It also introduced power-ups, such as slowing down fruit movement, to help players get a better score. However, these power-ups appeared randomly and could not be self-activated. Fruit Ninja Fight approaches this feature differently. Essentially, when you’re competing with another player, you can have use a power-ups immediately, with a cool-down period after its activation. These moves can either help you gain a better score, such as making fruits bigger, or hinders your opponent from slicing fruit effectively, such as blowing fruits off the screen. There are a big set of power-ups that you can have in your inventory, which means that you can only equip three different ones in each match. Blades also have added gameplay properties besides visual effects, improving the likeliness of a critical chance, power-up bonus, and more. Both the blades and power-ups can be upgraded to improve its stats. All these elements put together makes Fruit Ninja Fight an enjoyable multiplayer mobile title. Like typical Fruit Ninja gameplay, the more fruits slice in one swipe, the more added points you get. This means you either risk going for a combo (and get hampered by an opponent’s power-up) or just cut as much fruit as possible. Matches can also be quite intense, as you have to decide in the moment when to use a power-up to benefit your score or to mess-up the opponent to win. Another element of strategy with the power-ups come from using one to counteract a negative effect applied by your opponent. For example, if your opponent causes your fruits to be small, you can negate that effect by using the big fruit power-up if it’s equipped. It’s an interesting dynamic that adds that bit of extra depth to the simple fruit-cutting game. Fruit Ninja Fight is a free-to-play (F2P) mobile game which means it has microtransactions. This usually means they’re either implemented well enough to not be a hindrance or they hamper the player’s experience. With this mobile title, it’s a mixed bag. Fruit Ninja Fight does not have any stamina bar, meaning that players can play as long as they want. It also has a training mode, which means players don’t need to always play against human opposition if they so please. However, getting different blades, in-game currency, gems (which are required to strengthen your items) and new power-ups are all tied to dreaded loot boxes. Normally, it’s not so much of an issue, as I can recognize that F2P games need to earn money. How it’s handled is the issue. First of all, there are two versions of loot boxes, a regular one and a gold box. You acquire these boxes by playing matches and after a certain period of time. However, once players get one, they can’t simply open it up. Rather, you have to wait an obscene amount of time just to open it up. To put into perspective, normal boxes take three hours to open, with gold boxes taking eight. If that wasn’t bad enough, in your limited four slot inventory for loot boxes, you can only set one timer to open it. It’s worse than a giddy child waiting on Christmas Eve to open a present and seems like an arbitrary way to handle this system. However, Fruit Ninja Fight is an early access game, meaning that its loot box approach can be altered in its final release. Regardless, the game offers a great multiplayer experience that anyone can easily pick up and play for a quick, enjoyable way to kill time. 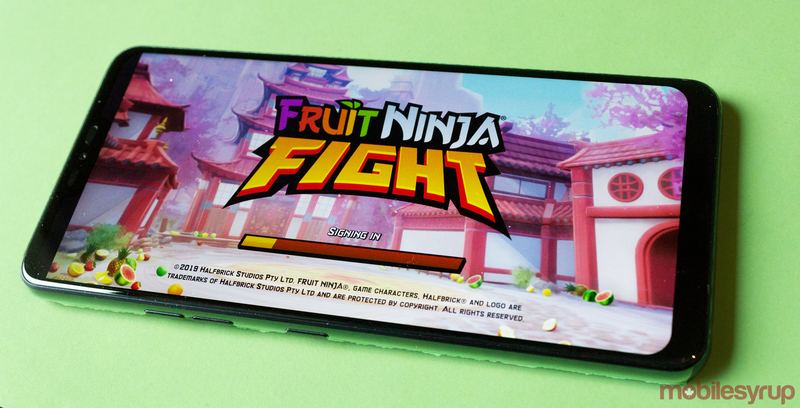 Fruit Ninja Fight is available exclusively as an early access download on the Google Play Store, as the iOS version will seemingly be released when the game is ready for launch.